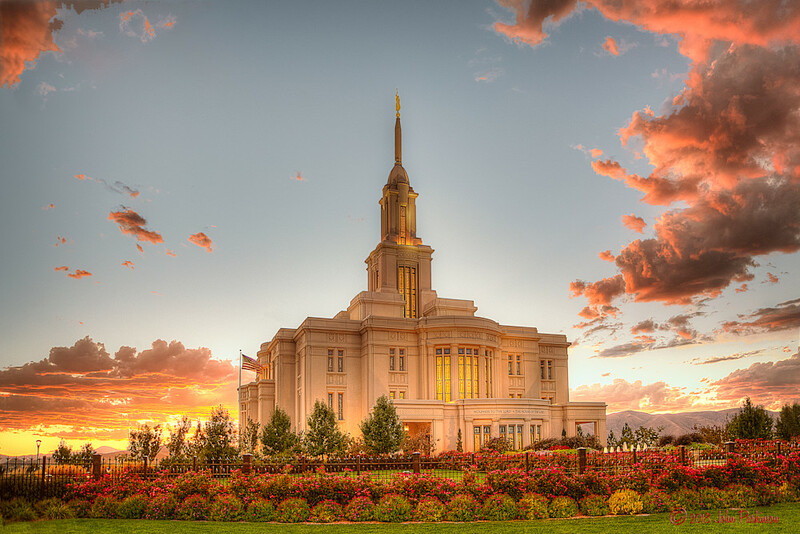 This is the Payson, Utah, temple of the Church of Jesus Christ of Latter-day Saints. During mid-September, 2018, a forest fire raged in Payson Canyon, not far from this temple. The fire required mandatory evacuation from many homes in the area. At the urging of local Church leaders, members fasted and prayed for relief. That relief came in the form of a local rain shower for several minutes in spite of the fact all the weather forecasts indicated zero chance of precipitation for several days during and after the fire. This photograph was made shortly after that rain shower. The beautiful colors in this image were enhanced by smoke and airborne particles from that fire.